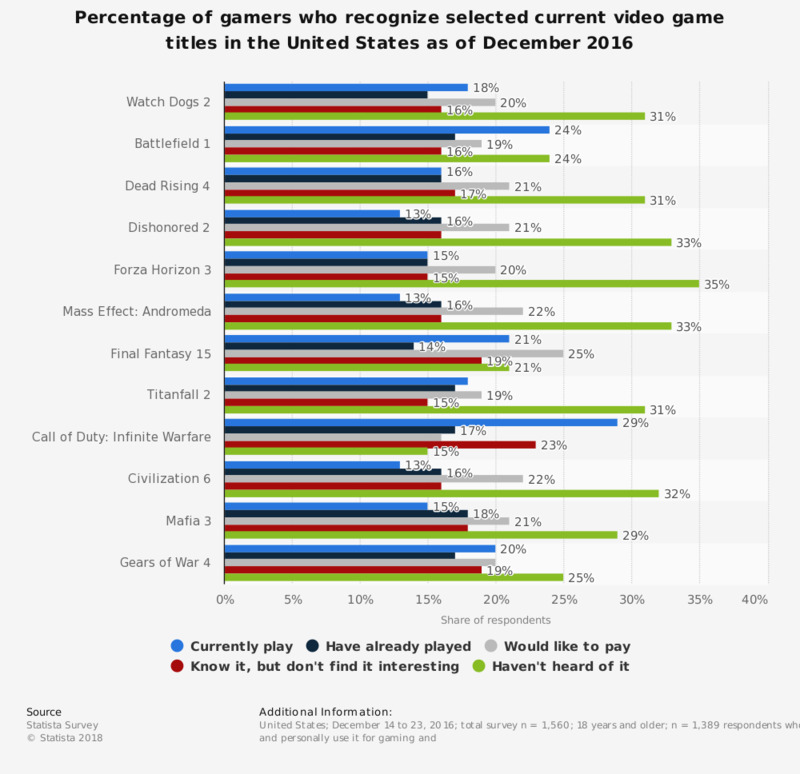 The graph shows the percentage of gamers who recognize selected video game titles in the United States as of December 2016. During the survey, 29 percent of respondents said they were currently playing Activision's Call Of Duty: Infinite Warfare, while at the same time, 15 percent said they had never heard of the game. Question: Which of these games do you know, play, or would like to play?